What is S'more for the Kids? 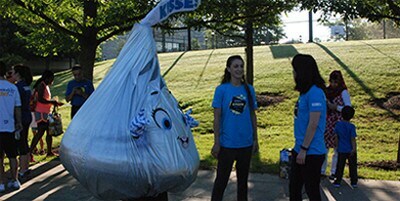 S’more for the Kids is how Hershey employees support Children’s Miracle Network (CMN). 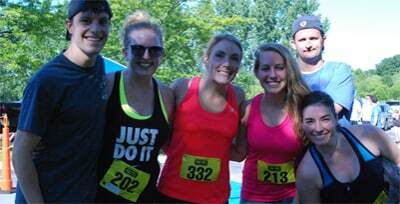 CMN raises funds for children’s hospitals, medical research, and public awareness of children’s health issues. Like sharing the goodness of S’mores, employees and supporters share time or money that benefits CMN families. Since 1989, The Hershey Company has raised more than $5 million for CMN. From participating, to event sponsorship and volunteer opportunities S’more for the Kids, there is a variety of ways you can help provide life-changing care to children in need. Read on to learn more and make a difference! Love to run for charity? 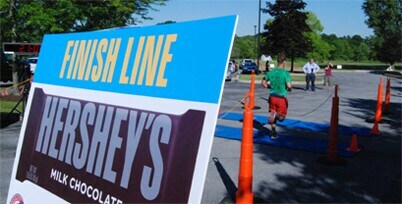 Bring family and friends to run or walk the Hershey Miracle 5K Race or the 1-Mile Fun Run/Walk! Meet the Hershey Characters and enjoy some Hershey goodness after the race. Proceeds benefit CMN families receiving care at Penn State Hershey Children's Hospital. Join us Saturday, September 29, 2018, for this fun 5K in Hershey, PA.
Companies like yours help make Hershey Miracle 5K a success. There are more ways than run to be part of this special day.